420 is one of the most anticipated cannabis events of 2019, so this year we are extending the celebration with special cannabis seeds deals, promotions and freebies. Worldwide Free Standard Shipping - EXTENDED!! Free shipping is available Worldwide to all locations on every order over €80! Double Free Seeds Allowance - EXPIRED!! You can now select double the usual free seeds based on total product spend amount. Choose up to 20 free seeds! 420 Mix Bulk Stash Bags - EXPIRED!! Premium Seeds from the Worlds Best Breeders at a bargain price for 420. Mix Bulk Stash Bags available in packs of 25, 50, 100, 200 & 500 in feminized & autofem formats. 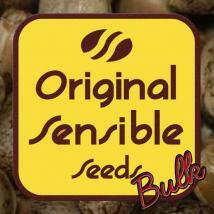 Double Seeds with Barneys Farm - EXTENDED! !, Dr Krippling & Greenbud Seeds - EXPIRED!! You can really expand your cannabis seeds collection with these special 420 offers from 3 quality seed banks. Barneys Farm are offering to match the pack size you choose (3, 5 & 10) with additional seeds of Peyote Critical - EXTENDED!! Dr Krippling are offering to match the pack size you choose (5 & 10) with one of their special edition 5th year anniversary strain, Shark Infested Custard - EXPIRED!! Greenbud Seeds are offering to match the pack size you choose (3) with additional seeds of Lemon Pie - EXPIRED!! We know that you are looking for the best cannabis seed offers this 420 and so we've made the search easy for you by selecting a number of best sellers and offering them at up to 80% off. The seeds with a reduced price will state the reduction percentage and will have the reduction already be applied. You will find the reduced priced seeds in the CLEARANCE section. Save 20% On Selected Bulk Strains In Packs Of 100, 200 & 500 - NEW BULK STRAIN JACK HERER AUTO!! Enjoy some super savings on bulk seeds and get 20% off on packs of 100, 200 & 500. Discount applied to Jack Herer Auto & Purple Amnesia Lemon. Additional Breeders Promotions - EXTENDED!! Get more cannabis seeds for your money when you choose seeds from breeders with additional promotions on offer. 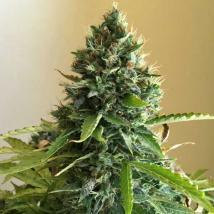 Breeders with additional promos include Barneys Farm, Dr Krippling, Fast Buds, Greenbud Seeds, Paradise Seeds, Original Sensible Seeds, Spliff Seeds, TH Seeds & Top Tao Seeds.